➜ YES! 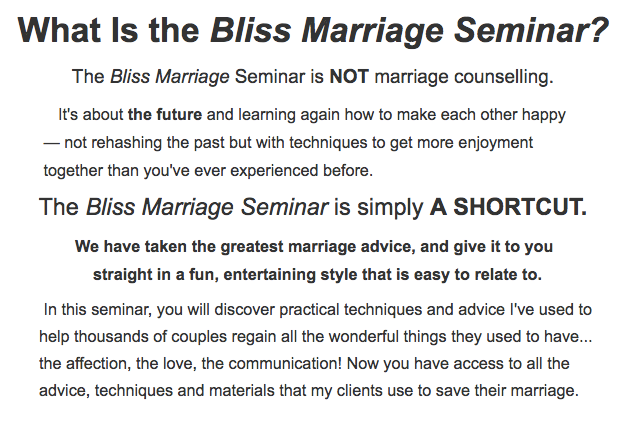 I Want My Ticket To The Bliss Marriage Seminar! Why these tickets won't be this low for long! You'll Also Get the 40+ Page Bliss ﻿﻿﻿Love-Book... 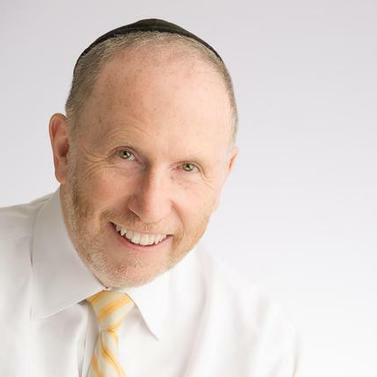 The Bliss Personality System... And So Much More! 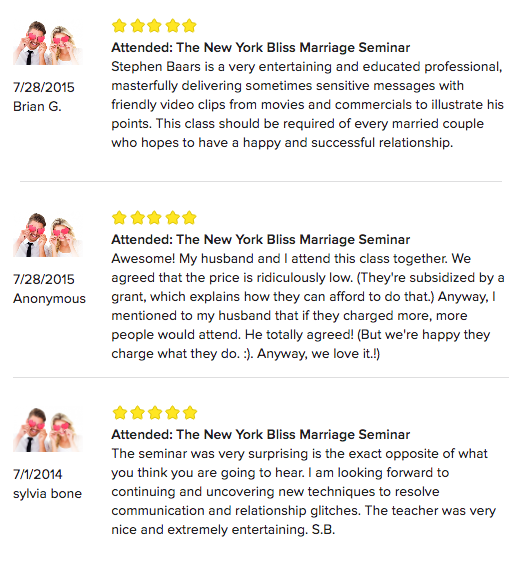 ➜ Get My Ticket To The "Bliss Marriage" Seminar Now! If at any time after you ﻿take﻿ the ﻿﻿﻿program﻿﻿﻿, you’re not happy, just let us a know and you'll get a full refund. 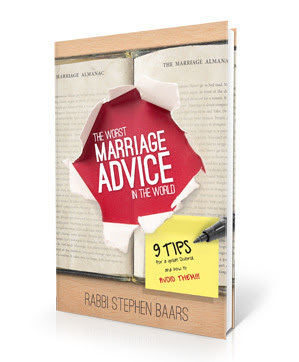 If at any time after you take the program, your marriage isn't improving, just let us know and you'll get a full refund. No other program or counselor offers this! 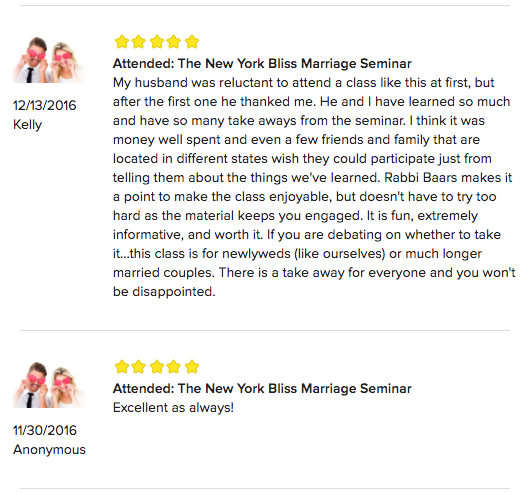 In fact, if you don't love any of the sessions or it doesn't improve your marriage anytime after the program (even if it's years after the program), just let us know and you'll get a full refund.